Happy Monday! Hope you all had a great weekend! As you all may have seen in my InstaStory, yesterday we had a family party with a DJ and all. It was a lot of fun! But since it was on a Sunday, we definitely had to go home early. My cousin and I were texting each other saying we wished it was on a Saturday so we can keep dancing haha!! Anyways, I wanted to share with you all the most comfortable white loafers I’ve worn. Lately, I’ve been on a kick switching out a lot of my shoes for something much more comfortable. I don’t know if it comes with age, but as I get older, the thought of wearing uncomfortable shoes all day makes me cringe. I’m pretty much on my feet all day. I guess that’s the perk of living in a Metropolitan city. 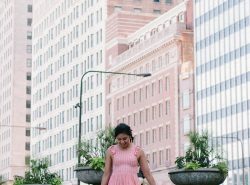 Everywhere is walkable. Also, one of my long term side effects from chemo is joint pain and most recently I have been getting them a lot in my foot area. The desire to wear comfortable shoes was for sure a must! I also don’t want to sacrifice style. And this is why I gravitated towards these white loafers. They are so chic looking! Plus, I’m into wearing white shoes. They are so in and they are a versatile color. You can pretty much wear anything with them – dresses, skirts, jeans, etc. However, if wearing white loafers are not your thing, they come in several other colors too! These shoes are the most comfortable white loafers for several reasons! It is seriously amazing knowing how much thought was put into these loafers. They have a Tri-pad system that cushions 3 pressure points of the foot: the inside ball, outside ball, and heel. These shoes have a shock-absorbing cushion to give your foot extra comfort from the pressure of walking. These loafers are made with a genuine moccasin construction and soft leather to allow more flexibility. It has a wider sole for more stability and more shock absorption. It also has tiny air bubbles to allow more cushion in each step. Hope you all give these shoes a try! It is seriously like walking on clouds! Have a great day! Such a cute outfit Rach! Love your loafers! I’m all about comfort too- the thought of walking around in 5 inch stilettos makes me cringe as well, lol. Love that these days you don’t have to sacrifice style for comfort! These loafers look so comfortable and stylish. I like them to be white. They definitely are! So worth getting! loving this casually chic look in white! So true! Yet we got get heels! But loafers are stylish and comfy to go most of the times! That colour is so versatile! Right?! Comfort is key and so glad the fashion industry is expanding beyond just heels! 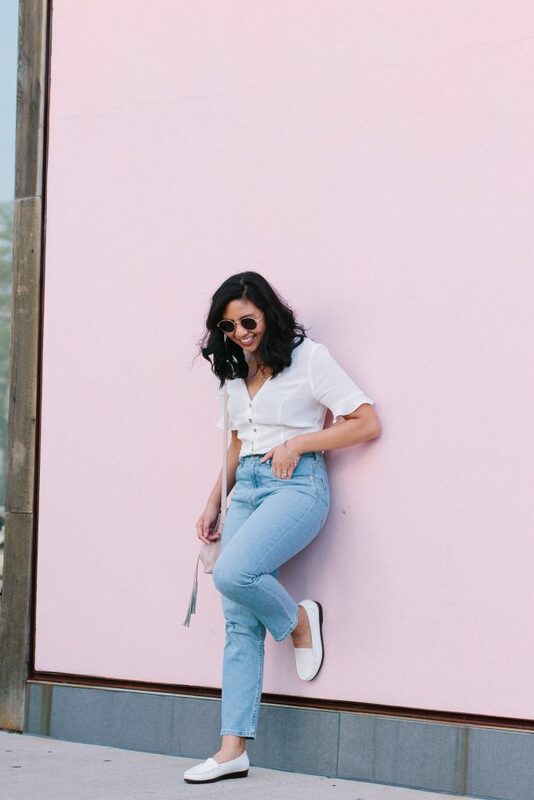 I’m such a sucker for a good pair of loafers, these white ones are so cute! Loving the buttons on your top too! Me too! Thank you Mollie! I agree, I’m all about comfortable shoes on long days. These are both stylish and comfy. And can I just say that your hair is growing so fast. Looking great! Comfort all the way! And thank you so much Cheryl for noticing!! I love white shoes! They just go with every look really. loving that blouse! super cute look! Thanks Kelsey! I got it in Spain! Love them and this crisp, clean look! These look so comfy, and I love the color for summer. Gimme gimme! These loafers look SO cute AND they sound super comfy. I mean, best of both worlds, right? I can’t wait to start pulling out the flats and booties more in the autumn – but because these are white, they work for summer too. Girl, you’ve got me sold! So true! So glad I sold you haha!! Those loafers look amazing on you!! I love them so much! Love your outfit, those loafers so comfy!! I just adore your style. 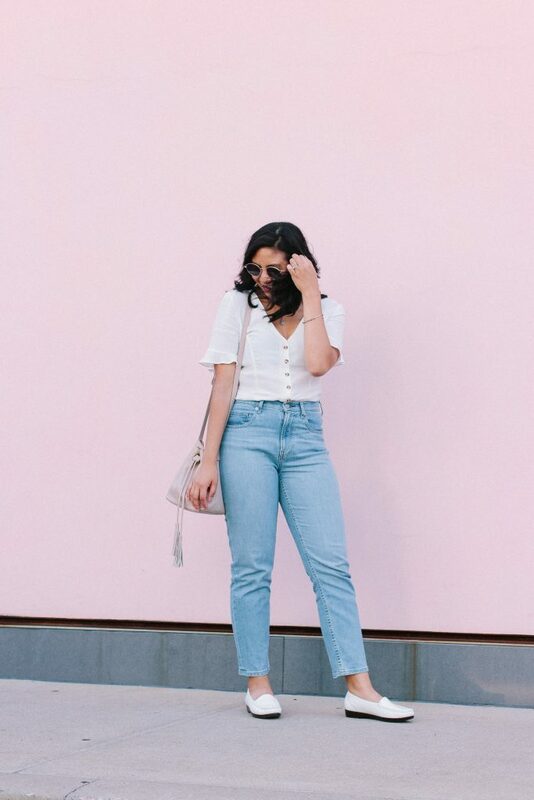 Those white loafers look so comfortable and I adore this paired with that top and those jeans. I’ve been having a major white shoe moment lately. These white loafers need to be added to my collection! Oo me too Megan! Hope you end up liking them as much as I do! Haha I am so with you! I love loafers. I invested in a pair when I went to Europe a few years ago. I managed to get a pair with a small heel and I am unable to wear shoes that are too flat. I also find that if the tongue/front is shorter rather than longer its more flattering. These are SO cute and chic!!! Love how you styled them here Rach! You look lovely in these pictures and the background is perfect! Sorry to hear about your joint pain, I didn’t know that was a side effect. I got joint pain when I became a vegetarian and found taking a vegetarian supplement really helped. I don’t know if it would for you? I think it’s also linked to Vitamin D, again I don’t know if it would be relevant in your situation but I hope you find something that does and in the mean time the loafers are really cute!! Hey Jenny, thanks for your suggestions! I might look into the vegetarian supplement! I do take Bit D and it does help a little! I didn’t know that joint pain was a chemo side effect 🙁 glad you found some comfortable and stylish shoes to help!! 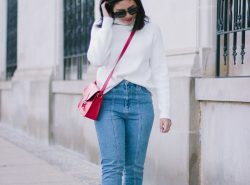 Loving this outfit – especially those jeans! Didn’t realize until after. That’s ok! More excuse to buy cute and comfortable shoes haha! Amazing post. Your loafers are really good. I love to buy women flats online this summer. It makes me very cozy. They looks so cute and comfortable! I would be so worried about keeping them clean though! They are very comfortable and that is a fair concern. Since it is a soft leather, in my opinion, I think they are easy to clean! You looks so confident in cute outfit! Definitely that loafers look so comfy. Plus i love ur styling babe. 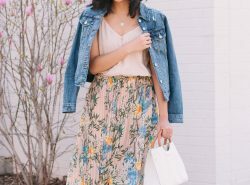 Such a cute summer look! I love your white top and loafers. Such a beautiful outfit! Shoes looks very comfortable! Thanks for sharing! Your white loafers look so comfortable! I love flats and rarely own anything with heels and when I buy shoes these days I always go for comfort. Love that you picked the color white and I can see pairing with so many closet favorites!